In this fictional memoir, Podovinikoff crafts a humane portrait of a stigmatized and misunderstood group, the Doukhobor. 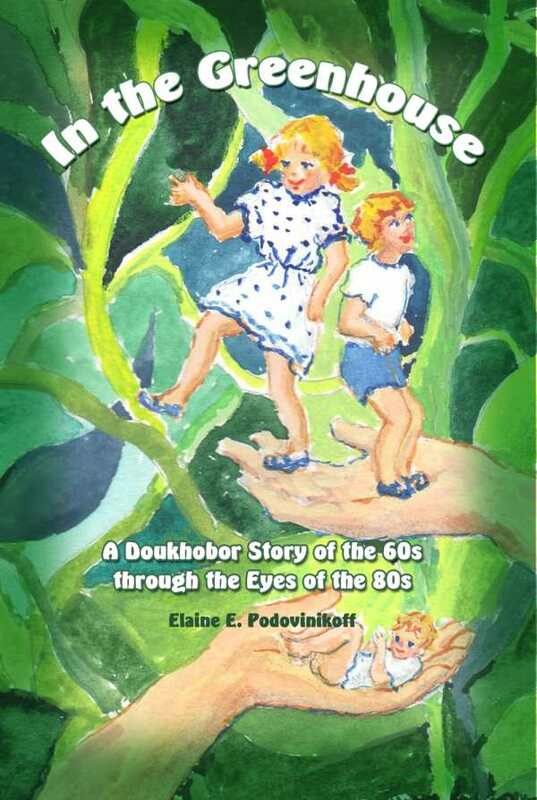 Intimate, revealing, and educational, In the Greenhouse: A Doukhobor Story of the 60s through the Eyes of the 80s, by Elaine E. Podovinikoff, is a fictionalized memoir of a Canadian Doukhobor woman named Ellie. Doukhobors are a Christian religious group of Russian origin. Their story is one that is rarely told in Canadian literature. Ellie, a bright-eyed and earnest young Doukhobor girl, comes of age in the ‘60s, and wrestles with the intensely personal and yet universal questions of who she is, where she comes from, and what she is meant to do with her life. Meditating on themes of family, belonging, love, and duty, while following pop culture’s folk heroes with equal vehemence, Ellie is a charming young woman with a unique voice. The book, however, contains too many narrative voices. There is an omniscient narrator, following Ellie’s growth into adulthood. Ellie’s diary entries provide another dimension. Then there are historical interludes, written in a different font and tone, which punctuate the story with Doukhobor history lessons. There is also Podovinikoff’s own stream of consciousness, in italics, which both illustrates her own writing process and comments on Ellie’s life, although the use of italics for other purposes sometimes confuses things (is this Ellie’s inner monologue, a quotation, the author’s observation?). Several story threads are carried on through appendices at the end of the book, which is somewhat jarring, as is the jumping around between tenses and voices. The effect is a book that straddles several different storytelling genres in a way that is quite fragmented; it doesn’t seem entirely certain of what kind of book it is. Though presented as a work of fiction, it reads at times like a memoir about writing itself and at others like a classroom text. Weighing in at a hefty 530 pages, the book could have been significantly streamlined by a thorough content edit. A line edit would have been helpful to fix persistent mechanical issues, such as the dramatic overuse of all caps and exclamation points, often half a dozen or more per page, making the narrative feel at times like it’s being shouted. At its heart, this is an interesting and unique story about a girl from a community about which not much is known in the mainstream. The Doukhobors, it becomes clear through the novel, are a storied group in Canada but have been stigmatized and misunderstood in a way that this humane portrait of one of its own—albeit fictionalized—does well to rectify. Those patient with mechanical issues and willing to overlook other trouble spots could very well enjoy the story. Its lingering gaze on the smallest details of daily life among Doukhobors paints vivid and illuminating pictures of that community, its way of life, and especially its complexity.